Manual egression testing takes too long for any organization developing software in 2018. You don’t have 20 days to work through a long spreadsheet of tests; you need to be able to continually deploy your new applications and features. 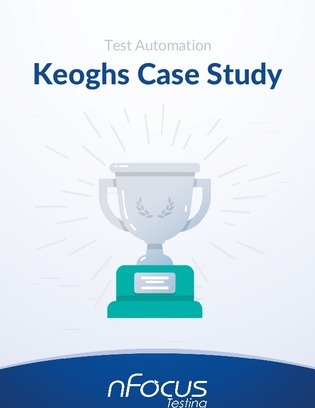 Keoghs, a claims services provider to insurers, knew they needed to automate their testing process. Read this case study to learn how Keoghs was able to automate their entire regression pack, and easily turn their testing time from 20 days to running independently every night.